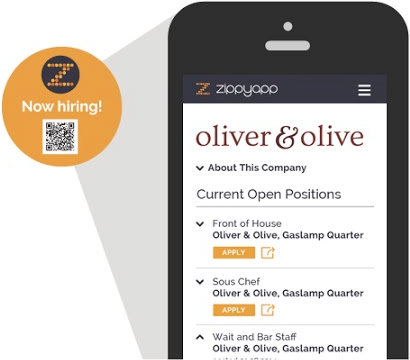 The Social, Local, Mobile Recruiting Solution. Get started by creating your Organization and creating a unique hiring page for each one of your locations/establishments. As soon as you are setup, we will send you a window decal containing a QR code for each one of your locations/establishments. Put it on the window and start receiving applications from your passive applicants. Use the QR code on a variety of media for maximum exposure. Sign up and start recruiting the best right away.